A recapitalization can be an attractive option for business owners. When it isn’t time to sell the whole company or retire, but you wish to take some risk and capital off the table, a recapitalization is the perfect answer. Combining equity and debt, and partnering with private equity, owners can cash out a portion of their ownership, still retain operating control, remove themselves from personal guarantees, and in some cases still retain majority control of their company. Private equity groups are experienced business partners that bring more than just capital to the table. They provide industry, operational, and organizational expertise that can increase the value of a business for its eventual sale down the road. In addition, recapitalization enables the owner to structure creative and beneficial estate tax options. 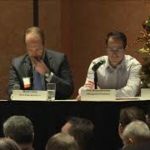 Click here to view a presentation on recapitalization presented at the MBBI of Wisconsin’s 4th Annual Private Equity Connection event held on December 2, 2018 at Potawatomi Hotel & Casino. Tom Kintis was moderator for a panel of four private equity firms that included Kyle Madden from KLH Capital, Phil Bronsteatter from Pfingsten, Matt Lane from Gen Cap and Nick Berry from Clearview. 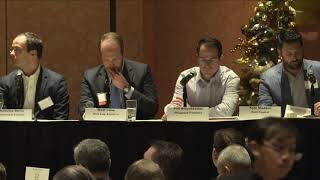 Click here to view a presentation on recapitalization presented at the MBBI of Wisconsin’s 4th Annual Private Equity Connection event held on December 2, 2014 at the Milwaukee Athletic Club. Tom Kintis was moderator for a panel of four private equity firms that included Chip Grace from May River Capital, Tom Campion from Merit Capital Partners, Matt Lane from GenCap America, and Gretchen Perkins from Huron Capital Partners. “CGK Investment Banking was extremely helpful when I decided to sell my business. I was initially skeptical about the process and what CGK could deliver. But having gone through their process, I now fully understand why it works and I’m happy to say they exceeded my expectations.” David Ausloos, Former Owner of Badger Land Car Wash Equipment Co.
“After working with CGK on the sale of my company, I told them I wouldn’t do a deal without them. Since then they have helped me acquire two companies. Their ability to get to the core issues and get a deal done is remarkable.” Marshal Boersma – Owner, OEM Products LLC, Global Manufacturing Solutions LLC & former owner of Elkhorn Machine Co. Inc.